The successful marketing of a home, like that of any good or service, is a multi-faceted process that requires proper planning and execution to be successful. Marketing a property for sale is more than just yard signs and MLS listings. In fact, marketing also includes: home preparation, pricing, presentation, and even negotiation, as well as strategic advertising and networking. All these activities are undertaken with one aim: to maximize your home’s market exposure, and with it, produce showings and offers that will result in the sale of your property. We've got the knowledge, expertise, and resources to implement a plan that will ultimately get your home SOLD for top dollar. We’ve broken down the types of advertising we use to get your home sold into two categories: advanced marketing and traditional marketing. 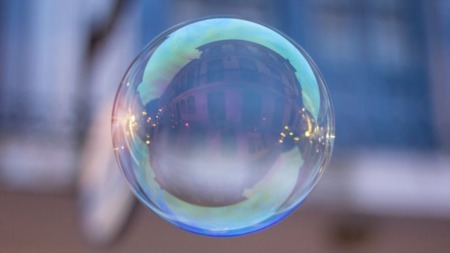 Keep in mind, these are only some of the marketing strategies used to get your home sold, but they should give you an idea of the lengths we go to promote your property. The strategies covered on this page, as well as many others, are truly what it takes to successfully sell your home in today’s competitive, and technologically advanced, real estate market. Internet exposure is key in today’s real estate market. With so many buyers now conducting their home search online, casting a wide net ensures your property gets in front of the buyers that need to see it. Sure, any company can put your home on the MLS and other real estate websites, but do they actively advertise your home on those sites to help it stand out? Our advanced internet marketing techniques ensure your home gets more hits, has better placement, and looks better than the competition. We've got upgraded accounts on the top real estate search websites, which gives your home prominent placement above the competition. Your home also gets promoted through multiple social networking channels, putting your property in front of thousands of additional buyers. Photos could be the single most important marketing tool your home will have while it's on the market. Your listing photos will likely determine whether or not buyers will even consider visiting your home. This is why we invest so much time, energy, and money into making sure your home looks great in each and every photo. We take the time to precisely compose each shot, maximize it for color, contrast, and clarity, and then upload it to the MLS. We also display your photos in a custom designed, responsive photo gallery. Because MLS photos are resized and compressed after being uploaded, the quality can be diminished greatly. Our HD slideshow tours ensure your home will look its best on any device. We've had listings that received thousands of views on YouTube, giving them tons of additional exposure you won't find elsewhere. Video tours also provide a professional way to give buyers a full tour of your home, from the convenience of theirs. A custom video tour with photo transitions and background music is created for each of our listings and is posted to the number two search engine in the world, YouTube. 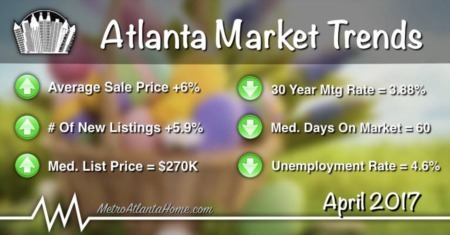 The MetroAtlantaHome YouTube channel is one of the most popular real estate related YouTube channels in the Atlanta area, and has received more than 85,000 views. Your home tour will receive additional exposure on this channel and will be shared with thousands of our contacts on other social media channels, as well. Not just social anymore, many of these sites are very powerful tools for business, especially for real estate. We use the most popular social networks to further increase the exposure of your home by posting upcoming open house dates, video tours and listing information to social media websites like Facebook, Linkedin, YouTube, Twitter, and Google Plus. By marketing your property to multiple networks of targeted consumers, your home will instantly be exposed to thousands of local people who may be in the market for a home like yours... or know somebody who is. If you haven’t joined us online, take a moment to connect with us and become a part of Atlanta’s top real estate network. For each listing, we create a dedicated property website with an easy to remember domain name (ex: www.1234YourHomeAddress.com). This gives potential buyers an easy way to find your home online and increases direct buyer traffic to your listing. In addition, your home’s custom website is also included on all your marketing collateral, so your home's listing information and photos can easily be found. Whether they're on a computer or a mobile device, potential buyers will get access your listing information, photos, maps, virtual tours, and can schedule a showing or request more information. Everything's on one site, and all inquiries come directly to our team. Your listing is also optimized for mobile traffic using the latest responsive design and enhanced search engine targeting. It seems as though agents have been listing homes on the MLS since the beginning of time. The MLS is typically where most real estate listings start, then things go from there. Atlanta is unique in that we have two major MLS providers (FMLS & GAMLS) serving the metro area. Because the costs associated with being a member can be high, many agents only post their listings on one MLS or the other, to cut costs. Not us. We're a member of FMLS & GAMLS, and we post our listings on both services to maximize exposure. There are also many challenges when trying to integrate listings from both MLS services on one website. Two data feeds can cause inaccuracies and listing duplication, a common problem when searching third party listing syndication portals. Either way, we highly recommend placing listings on both MLS services to reach the largest pool of potential buyers. Yard signs and directional signs are still a major source of traffic from buyers, and can be much more than just a static source of information. Our signs feature multiple points of contact for potential buyers, so they’ve always got a way to get more information on your home. Most importantly, they can easily reach us by phone to schedule a showing. Yard signs also feature a rider with your home’s custom website address (ex: www.1234YourSt.com), plus a QR Code sign or traditional flyer box for additional listing information. Since our name and contact number is featured prominently on the sign, buyers will contact us directly to see the property, not go through a mess of office extensions and voicemails, like you’ll typically find. High quality postcards are a great way to announce a property is for sale to neighbors, as well as those renting in your area. We like to use them to announce a new listing and invite neighbors over to an open house. You never know when a neighbor has a friend, family member or coworker they know looking for a nice home in the area. They may be able to sell that person on the neighborhood before they even see your home! Our postcards are custom designed for each listing and mail merged with property records in the neighborhood. Typically, we do about 300-500 postcards to households in the surrounding area. We'll also include apartment complexes in my mailing, if they're nearby. Professionally designed, these listing flyers highlight the top features of your home with beautiful photos and full property details. Flyers are still a great way to reach drive-by buyers, and provide visitors with something to take with them after seeing your home. We provide enough flyers to keep a handful inside and plenty outside (in your flyer box) for potential drive-by buyers. Our two-sided, full color flyers, are printed on thick glossy paper and highlight all the best features of your home. They're locally printed using only the highest quality printers for a truly professional look and feel. Although these flyers aren't cheap, they're definitely worth the investment. You never know who you’re going to meet at an open house. Whoever follows the trail of directional signs and spots the balloons may turn up at the door! While the open house is a traditional way to get buyers in the door, Metro Atlanta Home Group open houses aren't your garden variety open house. We put on one of the biggest open house promotions in the city, and advertise our open house “events” in conjunction with the Better Homes and Gardens Real Estate Metro Brokers Super Sunday open house. With more buyers turning to the internet to begin their search, many stumble across open house advertisements while browsing homes in a location of interest. Our open houses are always at the top of buyers’ lists, especially when they know they can also register for a $1,000 giveaway. 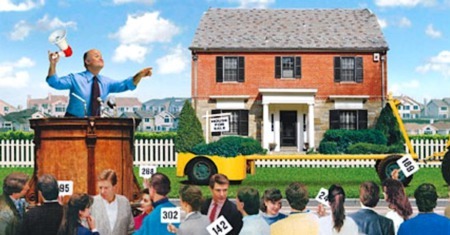 Are Bidding Wars Hurting Home Sellers?